Babygirl started first grade today! Just wanted to share a few pics with you all :) We didn't do anything really special with her hair, just a cute down and out curly style with 2 small ponytails to keep her hair out of her face. Awww she's too cute! Hope she had a great first day! 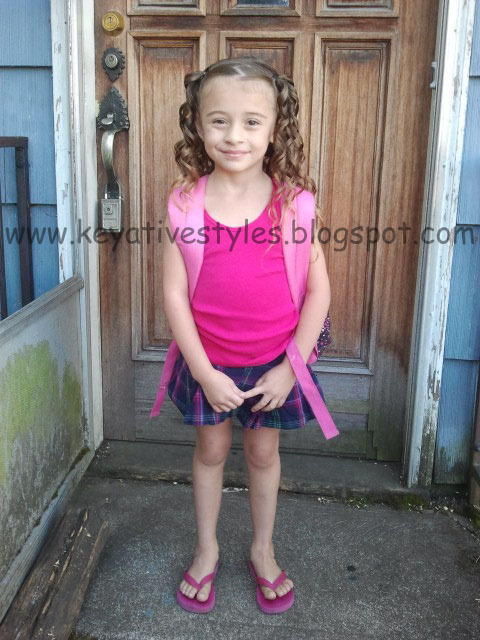 awww hope she had a great first day as a first grader! She looks adorable! I hope she has a blast in first grade!! 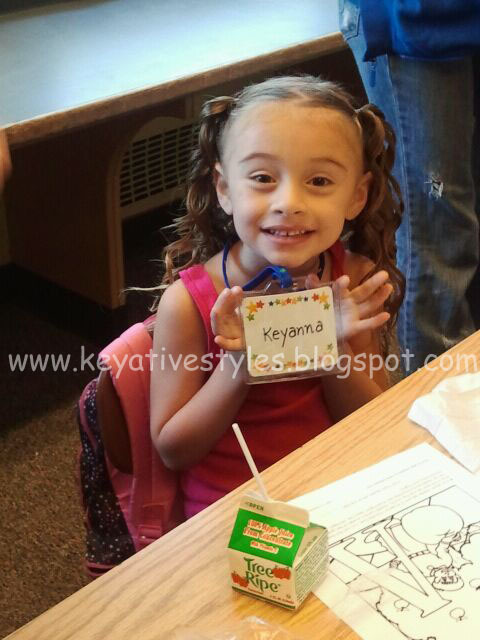 Hope she had a great day...adorable little Key!! awww, i have a first grader too, she look so happy! how was her first day? Key is sure pretty. Love her first day of school look, save those skills for further into the year. Hope she had a great first day.